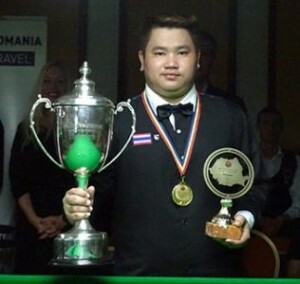 Congratulations to Boonyarit Kaettikun who has today edged out Welshman Jamie Clarke 8-7 to win a dramatic final at the 2015 World U-21 Championship in Bucharest, Romania. Having made a century break in the opening frame, Boonyarit was never headed and soon moved one away from victory at 7-4, before Clarke launched a spirited comeback to force a decider. 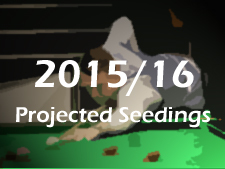 Though he missed a black on 53, it was Kaettikun who would eventually take the decider, with his opponent sportingly tapping his fingers as he made the final pots. 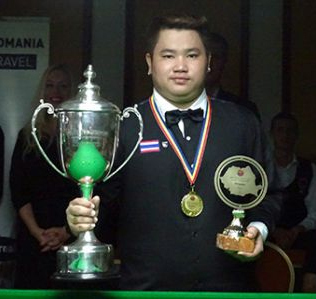 Boonyarit becomes the third Thai winner of the event, following in the footsteps of Noppon Saengkham (2009) and Thanawat Tirapongpaiboon (2011) and he will be rewarded with a two-year tour card from the start of the 2016/17 season. For Jamie, it marks another near-miss as he looks to earn professional status, having already lost in the final of the European Championship this summer and also in a deciding frame to Martin O’Donnell at the EBSA play-offs back in April. He will now target the upcoming European Tour events as he again looks to earn a tour card from the start of next season.